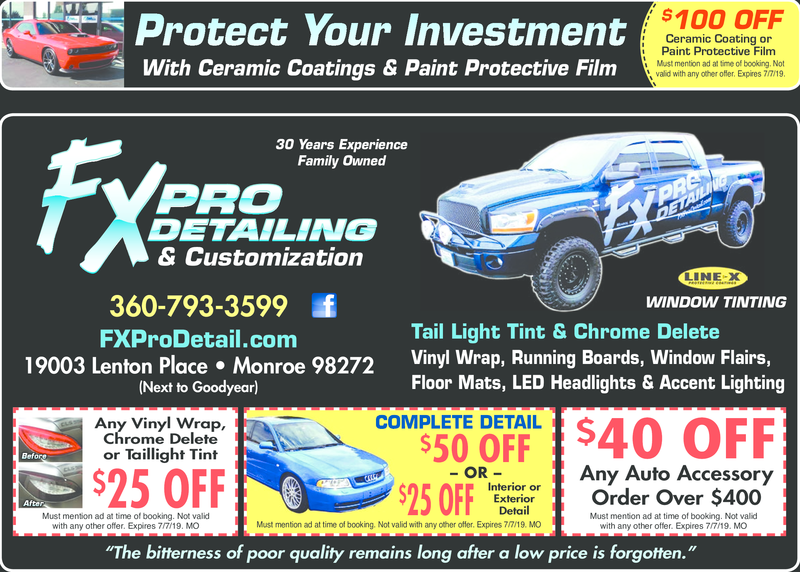 Professional detailing for your autos, boats, RV's, and more! Must mention ad at time of booking. Not valid with any other offer. Expires 7/7/19.